It goes without saying, there is absolutely no way that we can avoid social networks in this day and age, other than the fact that you were to go and live like a hermit somewhere, or in an extremely secluded area that has absolutely no kind of telephony connection and power plug at all. Well, if you can’t beat ’em, why not join ’em? 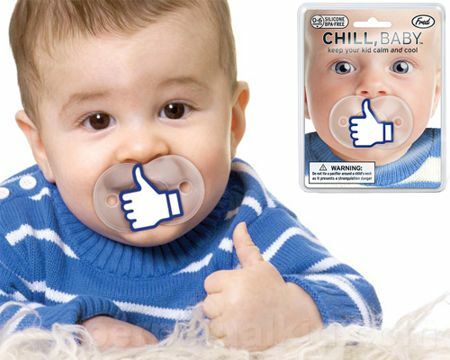 Start them off young when it comes to the tiny nuances of social networks with the $10.95 Like It Pacifier, where it was specially designed to provide an adequate amount of comfort to your child, as parents get some “us time”. This is the perfect gift for those who love tongue pacifier-in cheek-humor, where it is made out of baby-grade silicone and non-toxic plastic.